A worthy addition to Italy's scant Christmas ballet offerings, and New York City Ballet principal Ashley Bouder sparkled like a diamond. I have been visiting Italy for the last 25 years and it has been my home for most of that time. 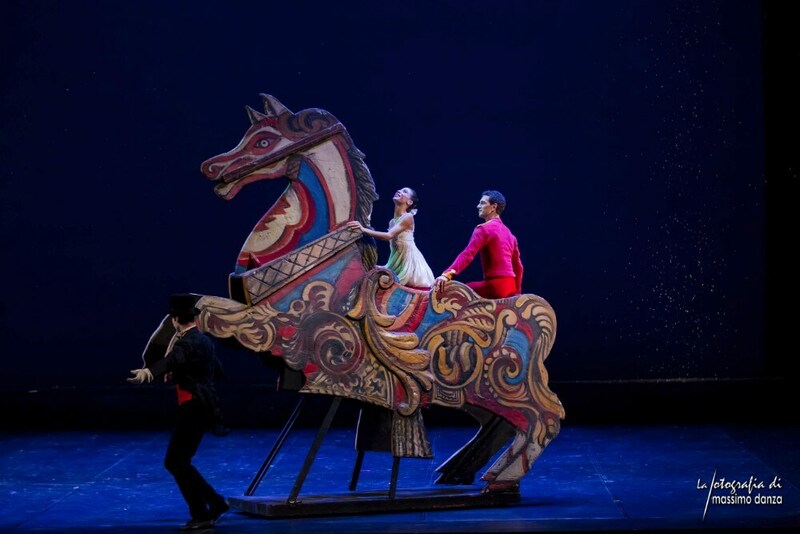 For a quarter of a century I have been hearing about a production of the Nutcracker which was very popular during the ‘80s and ‘90s when the company Aterballetto took the ballet on tour. The choreography was by Aterballetto’s then director, Amedeo Amodio, and the striking designs by the Oscar-nominated Italian designer, painter, animator and illustrator, Emanuele Luzzati. Then three years ago, the production was taken up by the ballet company in Palermo, then by that in Rome, and earlier this year Daniele Cipriani Entertainment bought the original production from Aterballetto. 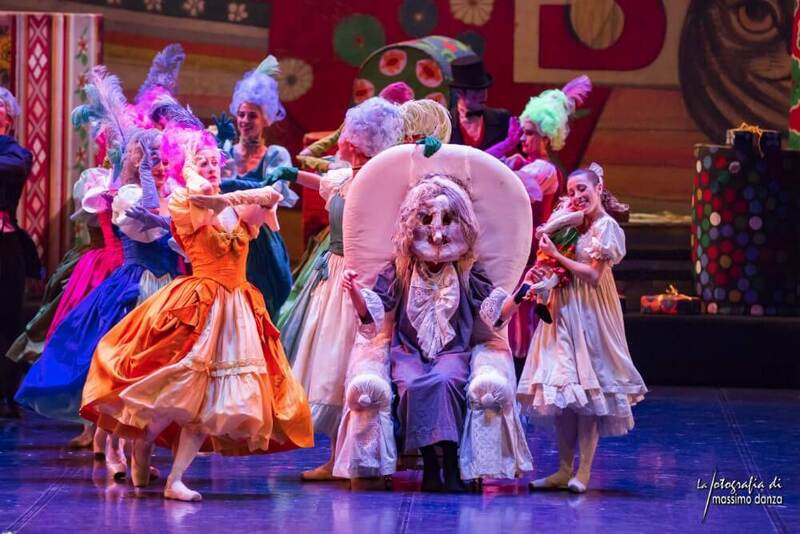 The backcloths and costumes were restored, an ad hoc company of dancers was assembled, and once again this most original of Nutcrackers is back on the road. The production came to Milan’s Arcimboldi Theatre before continuing its travels. The Arcimboldi was created as La Scala’s home during a three-year restoration in 2002. The proscenium arch and the stage behind it have exactly the same dimensions of that of the Scala: it’s big! It was too big to be an ideal setting for this intimate production – perfect, though, for most of Italy’s glorious 1,000-seater theatres – and large black wings were necessary to reduce the stage space. As Luzzati’s designs use black drapes it occasionally made the scenes seem sparser than they actually are. No matter, it worked. The designs are kooky and fun, the use of shadow play imaginative, and the production feels as though it’s roaming within the imagination of a child: an innocuous small object with a light behind it can cast a frighteningly large shadow on a wall. In fact, the ballet starts with Clara on her bed. It’s a dream. Sometimes, Amodio’s choreography can be bland, and the shadow play tends to dominate the dancing, however for an ad hoc company the dancing was surprisingly well drilled, and most of the soloists were respectable. It is a worthy addition to Italy’s scant Christmas ballet offerings. The dates in Milan had New York City Ballet principal Ashley Bouder dancing Clara, a role she previously performed three years ago, in Palermo. When she came to the final pas de deux, where she threw in some of the Balanchine choreography that she’s used to, she brought the house down with her assured technical wizardry: she sparkled like a diamond. Seasons Greetings, Graham and Greetings from Fuengirola! Thanks for having posted! It looks fun but my heart is still with the Peter Wright for the Royal Ballet! What a kaleidoscope of color: a feast for the eyes. Seasons Greetings to you and your readers. This year I enjoyed watching “The Battle of the Nutcrackers” presented by Ovation TV. Some viewers were getting up very early to catch the program starting at 7 A.M. Of the five versions presented, the ones of Semperoper Ballet and the Mariinsky became my favorite. I would love to watch the one by Amodio and Luzatti you brought to my attention thanks to your lovely article and description of the work. We continue learning so much about the art of ballet and dancing by reading your magazine. Again, thank you for all you do for your readers. Susana -That sounds fun – in what country was the programme? I agree with Patrick’s thoughts; I really enjoyed it at the ROH a couple of weeks back – wonderful evening. Sadly ENB tonight at the Coliseum was tired, made no sense, drags, naff costumes and quite a bit of uninteresting performances. I am going to their Giselle in a couple of weeks and I really hope the money will turn out to have been worth it. This just didn’t feel like the work of a topline company. Still, we can’t hope for magic at every single production; we know we are very lucky when it does happen though.